In Cubic Limit a single large cube rotates in 3-D until it slowly breaks into 25 embedded cubes, they continue to rotate and diminish until the edges form a superstructure. Both Square Roots and Complimentary Cubes can be seen as sketches in the build up to Cubic Limit. 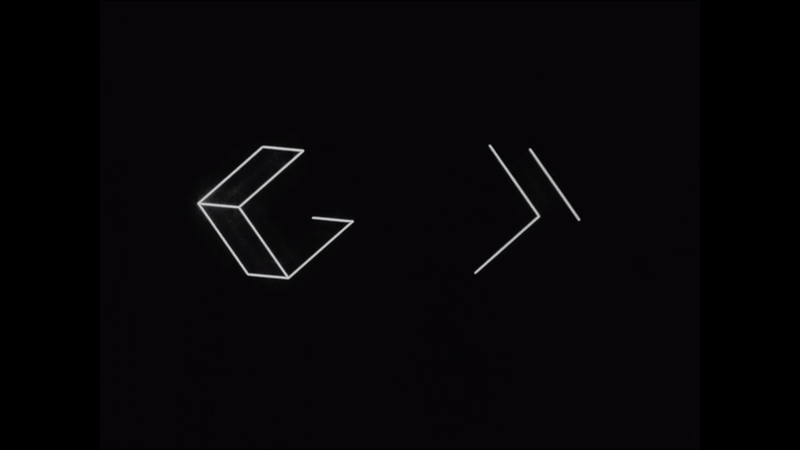 Square Roots was one of Mohr’s first attempts at using a computer to create a short film, whilst Complimentary Cube was originally written for Cubic Limit but was not included in the final edit of the film. 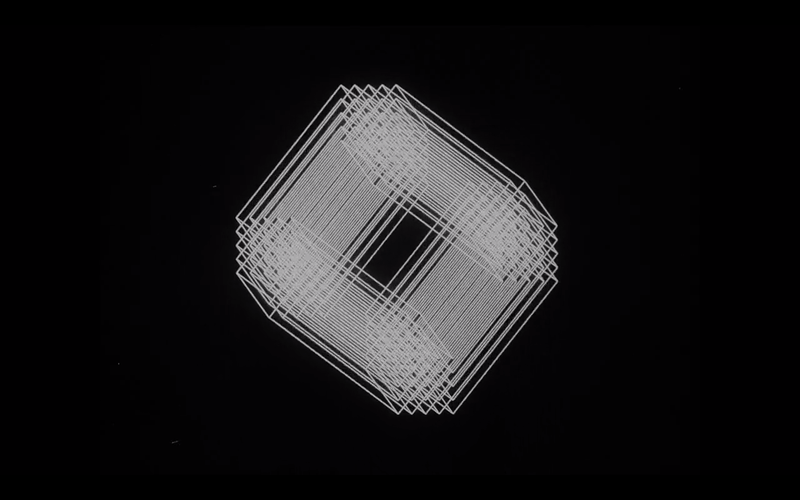 Since the late 1950s, Manfred Mohr has been making rigorously minimal paintings, drawings and moving-image works. During the 1960s, Mohr’s practice evolved from abstract expressionism towards a more hard-edged geometric painting. By 1968, in pursuit of a ‘real rational art’ he had begun to develop a ‘programmed expressionism’ in which algorithms were used to generate art that formalised his vision in a new, logical way. In 1969, Mohr gained access to one of the first computer-driven drawing machines or ‘plotters’ at the Paris Institute of Meteorology. 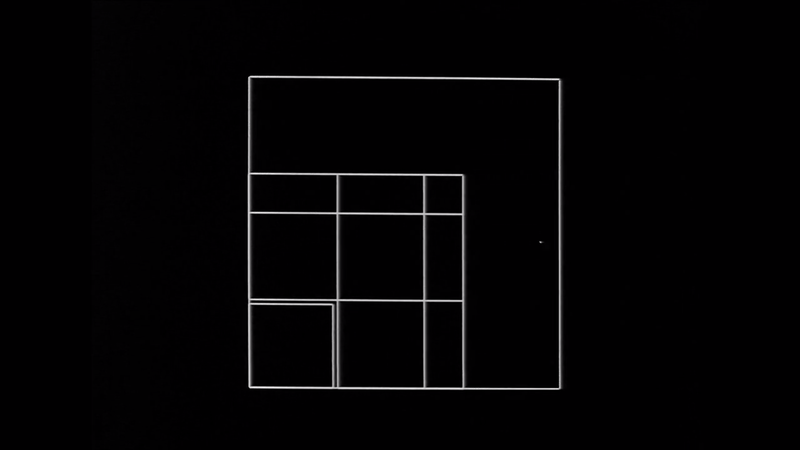 With this plotter, Mohr developed a series of computer programs based on certain algorithms that provided a controlled system through which new visual forms could be explored. In 2000, he introduced colour and animation to give fuller expression to the incredible richness of the multiple, complex variations within the higher dimensions of the cube and their artistic potential as a system of two-dimensional visual signs or ‘êtres graphiques’. “During my one-man show at the Museum of Modern Art in Paris in 1971, I met the CEO of C.G.M (La Companie Generale de Micromatique), a data storage and preservation company, which specialized in micro films. He invited me to experiment on their brand new machine DATAGRAPHIX 4460 to make computer animations. I gladly accepted and during the next 4 years I made several short computer films. It was a very painful experience since the process was very slow and the turnover dragged out over many months. There is an extensive selection of interviews and talks with Manfred Mohr on Youtube, here is a talk with the artist in conversation with Dr. Lida von Mengden filmed at Art Basel in 2013.